Provide comfort for the family of Glen Murray with a meaningful gesture of sympathy. Glen Frank Murray, 70, a longtime resident of Nashua, died at his daughter’s home on February 19, 2019, surrounded by his family. He was born in Putnam, CT on October 7, 1948, a son of the late Frank and Gudrun (Carlson) Murray. Mr. Murray was the widower of Susan (Jacobs) Murray. He had worked for Evoqua Water Technologies in their accounts receivable department. He earned his bachelor’s degree from Bridgeport University and graduated from Tourtellotte Memorial High School. Mr. Murray is survived by his son Alex Murray of Nashua; his daughter and son-in-law, Rebecca and Matthew Abrams of Londonderry; his grandchildren, Lily and Micah Abrams of Londonderry. 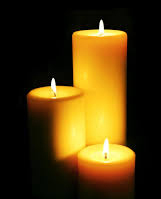 SERVICES: A Graveside Funeral Service will be held at Evergreen Cemetery, Nashua, on Friday, February 22, 2019 at 1:00 PM. Friends and family are invited to attend. Following the funeral service a reception will be held at his daughter’s home. 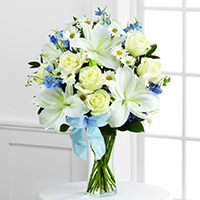 To send flowers in memory of Glen Murray, please visit our Heartfelt Sympathies Store. We encourage you to share your most beloved memories of Glen here, so that the family and other loved ones can always see it. You can upload cherished photographs, or share your favorite stories, and can even comment on those shared by others. Sourcing & Procurment and Accounts Payable at Boston University have sent flowers to the family of Glen Murray. Just found out about Glen's passing. Shocked and saddened to hear. Glen and I worked together at Evoqua. I really liked Glen a lot. A real stand up guy. I even still have the Toro leaf blower he gave me when I bought my home many years ago. I enjoyed talking to Glen daily at work. My most sincere condolences to the family. We worked with Glen at Evoqua Water Tech. He was a kind and decent man and we will miss him. God bless him. Abrams Family: Though words, however gentle, cannot take your loss away, still may these flowers sent in sympathy help comfort you today. Sourcing & Procurment purchased flowers for the family of Glen Murray. With deepest sympathy. Our hearts are with you. From your friends in the Accounts Payable Department at BU. Accounts Payable at Boston University purchased the The FTD Sweet Peace Bouquet for the family of Glen Murray.